The success of your school is important to us. If you have any questions about this form, please give us a call at (208) 882 6101 or send an email to info@accsedu.org. We will contact you once your application has been reviewed. You must click “Submit” at the end of this form for your information to be recorded. Your school's public contact for the ACCS. Your headmaster and account manager may be listed separately below. Ok to publish headmaster information? If different from headmaster or public contact. The Account Manager is the primary contact for the ACCS. OK to publish chairman information? Please list any accreditation, other than ACCS, that your school has acquired. "Shortened" is defined as your average student seated for fewer than 20 hours for classroom instruction each week. Also called "partial-week." Did your school transition to the classical Christian model within the past ten years? 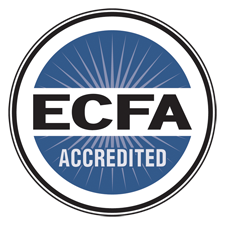 The school has had a designated member of the school board, staff, or faculty review the ACCS accreditation standards, Section E, Criteria for Accreditation, within the past year to ensure that the school still conforms to the minimal requirements for ACCS accreditation. The school has made significant changes to its bylaws since the last visit. The school has made significant changes to its policy manual since the last visit. The school has made significant changes to its curriculum guide(s) since the last visit. On an on-going basis, the school has actively pursued teacher training for all assigned faculty members. Please provide the changes made to your bylaws, policy manual, or curriculum guide(s), if applicable. You may choose up to 3 files. Please note that large file sizes may require extra time when you click "Submit" at the end of this form. If you answered “No” to statement a. above, please explain what the school is doing to ensure that it is remaining faithful to the ACCS accreditation standards. If you answered “No” to statement e. above, please explain how the school ensures that its teachers are maintaining proficiency to teach in the classical Christian methodology. As an ACCS accredited school, you are now required to participate in an ACCS teacher certification program which will be evaluated during each future accreditation renewal visits. Have you begun to certify your teachers in accordance with the ACCS Teacher Certification Program? If you answered “No” to the question above, please explain why. Our school supports the work and mission of the ACCS. Our school is committed to providing or finding a path to full K-12 classical Christian education for our students, now or in the future. This may include a partnership with other schools. Our school agrees with the ACCS Statement of Faith. "Agreement" is defined by your organization's bylaws and what they may require to indicate organizational agreement (a board vote, headmaster's signature, etc.). Our school will not explicitly endorse unbiblical family relationships or implicitly affirm unbiblical family relationships in our employment policies. Our school does not discriminate on the basis of race, color, and national or ethnic origin. Our school agrees to treat other ACCS member schools according to "the golden rule," particularly with regard to recruiting families and staff. In the grades we serve, our school will conform to the trivium, as well as provide, at a minimum, two years of instruction in Latin or ancient Greek for each student, and one year of formal logic and one year of rhetoric in the secondary. FTE means "Full-time Equivalent." Two teachers teaching 3 hours per day at a school where 6 hours is a normal teacher load would equate to one Full-time Equivalent position. Estimate. We do not need exact fractions. Please enter the number of students as of the beginning of this current year for each field. NOTE: If you checked earlier that you are a non-traditional school (university model, collabrative model, etc. ), DO NOT modify your student counts—use actual numbers for diploma seeking students. We now adjust your pricing rather than your student count. Partial-week (university model, collaborative, etc. ), homeschool, and online students. Students who are new for the current school year that were not with your school in January of the previous year. Don't forget to enter your total student numbers in the k-6 and 7-12 fields above. Enter the number of graduates. Estimated total number of graduates from your school since it has been a classical Christian school graduating students. This is not a bill. The ACCS will contact you once your information has been submitted and accepted. Calculated by adding the entries in the full-time "K-6" and "7-12" fields above. Price per student for partial-week (university model, collaborative, etc. ), homeschool, and online students. Calculated by adding the entries in the "K-6 (Non-traditional)" and "7-12 (Non-traditional)" fields above. 4 issues of The Classical Difference sent to the families in your school. The Classical Difference provides a professionally produced paper magazine to help parents better appreciate the national movement behind your school’s mission. To keep it simple and affordable, we charge $1.50 per student. Please check here if you would like to have The Classical Difference delivered—one per family—to their mailboxes. This year, we’re trying something new. We will use any money donated here by members to buy social media and other advertising to promote classical Christian education and to generally increase the visibility of our School Finder. We believe this will make our members as whole and our movement more visible. This is not a bill. The ACCS will contact you once your information has been submitted and accepted. We've been able to hold dues unchanged this year while expanding services. We hope all members will visit the ACCS Member Resource Center, or MRC, where we provide new material every week.